Imagine your world without any of the numerous brands of bottled water you enjoy, promising water of the highest quality, decorating their products with pictures of placid springs surrounded by perfect, regal mountains. Imagine instead that you are one of the 1.1 billion people worldwide that, according to the World Health Organization, does not have access to clean water or improved sanitary resources. 1.6 million people die annually due to diarrheal diseases caused by lack of safe drinking water. The majority of these deaths occur in children under the age of 5. 37% of the developing world’s population lacks improved sanitation facilities. Every 20 seconds, a child dies as a result of poor sanitation – in other words, 1.5 million preventable deaths occur each year. Poor sanitation may cost developing countries up to 20% of their GDP. Now imagine that you have something called LifeStraw: a low-cost, lightweight, personal water filter that ensures safe, clean drinking water no matter where you go. LifeStraw is game-changing because it has the potential to bring the above numbers down to zero. 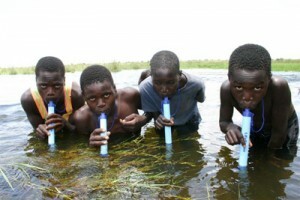 Designed by European emergency response and disease control product manufacturer Vestergaard-Frandsen and winner of both the 2005 INDEX: Design Award in the Body and People’s choice categories and “Best Invention of 2005” by Time magazine, LifeStraw aims to increase global access to clean water through a 10-inch plastic cylinder (“straw”) that can filter out or kill bacteria and thereby convert impure water into safe and potable water. The product comes in two sizes: individual and family. The individual LifeStraw can filter up to 1000 liters of water (enough to keep a person well-hydrated for an entire year), and the family LifeStraw, which can filter up to 18,000 liters of water. The technology relies on PuroTech Disinfecting Resin (PDR) – a patented material that kills bacteria on contact – to eliminate 99.9% of the bacteria in dirty water. As a result, LifeStraw provides users with water as pure as any traditional water filter. Most importantly, with its $25 price point it does so at a fraction of the cost of traditional sanitation. For the most part, LifeStraw has been distributed widely without any price tags attached. Nonprofits such as Project H Design have distributed LifeStraw to needy populations in Mumbai, Mozambique, and Myanmar, among other locations. Furthermore, the LifeStraw team has traveled worldwide and been featured in National Geographic, the Wall Street Journal, Newsweek, and more. Field studies conducted in Ethiopia, Sudan, and Congo have already shown movement towards greatly reducing the number of people without access to clean drinking water. In Ethiopia, the LifeStraw team conducted an 8-month randomized trial study, demonstrating a 25% statistically significant reduction in the incidence of diarrheal disease. This is complemented by results from Sudan, where use of the LifeStraw product led to a 10% decrease in rates of diarrheal illness over the course of just four months. Finally, in the Republic of Congo, the LifeStraw team was able to prove that the LifeStraw product brought the incidence of diarrhea in some families down to zero. The LifeStraw team hopes to expand these results to other health conditions and keeps a list of target diseases, among which are dengue, malaria, and typhoid. 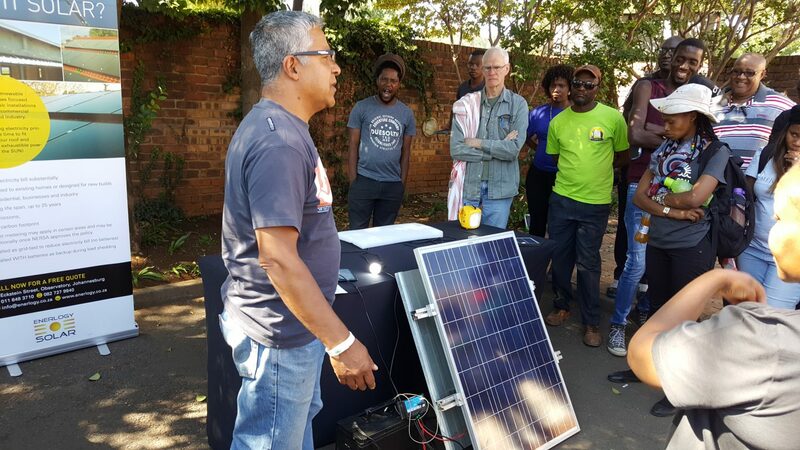 Furthermore, they have geared their product to answer to each of the UN’s millennium development goals and seek to empower the developing world by reducing sicknesses due to water-related illnesses, consequently increasing opportunities for education and employment. LifeStraw is a prime example of how a simple innovation can have an incredible impact. In the years to come, it seems likely that LifeStraw will help lead the way towards clean water access and improved health for much of developing world. Access to clean water is a fundamental component of economic development, and LifeStraw looks set to play a key role in expanding access to the neediest populations in a cost-effective, sustainable manner.